For blissing out on sugar-white sands, taking hand-in-hand moonlight strolls under star-studded skies and indulging Zen-like pampering at a luxury resort, your post-wedding getaway will probably be one of your most memorable. 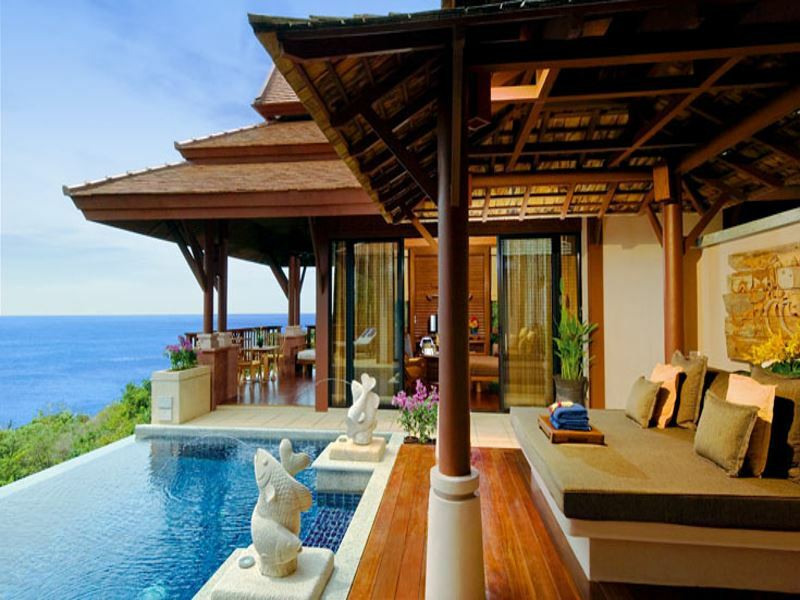 We check out the top 10 tropical honeymoon destinations for romance. Why: A swoon-worthy classic for newlyweds, Clearwater lures with miles of pristine white public beaches, crystalline waters, upscale resorts and a record-breaking 361 days of sunshine. 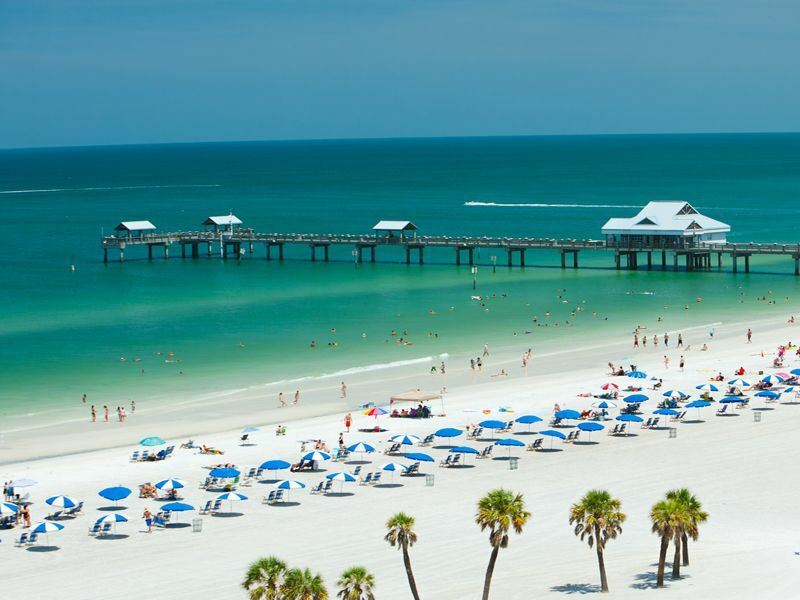 Spread along a three-mile stretch of the Pinellas Peninsula on the Gulf Coast, Clearwater Beach straddles Tampa Bay to the east and the Gulf of Mexico to the west. Honeymoon highlights: Beyond the clichéd romantic rituals – dolphin-watching cruises, parasailing, and sunset serenades at Pier 60 – the showstopper for happy-ever-afters is Honeymoon Island State Park. Formerly known as Hog Island, this slice of paradise located north of Clearwater was so-named in 1939 when New York developer Clinton Washburn built 50 palm-thatched bungalows and held a contest for newlyweds in collaboration with LIFE magazine. See and do: Secluded sun-drenched sands have always made this barrier island a big-hitter for honeymooners. Couples can kayak through tangling mangroves, take leisurely walks along nature trails, snorkel in the warm Gulf waters, fish for snook, and keep their eyes peeled for gopher tortoises, ospreys and raccoons. Park amenities include picnic pavilions, bathhouses, bird observation areas, and Florida’s only dedicated pet beach. Why: For a shortish-haul hotspot The Sultanate of Oman seals the deal for honeymooners seeking sun-kissed glamour without the glitz. Located in southwest Asia, the oldest independent state in the Arab world serves up fabulous desert scenery, medieval cities, unspoiled beaches, intimate resorts and legendary tales of the Queen of Sheba and Sinbad the Sailor. 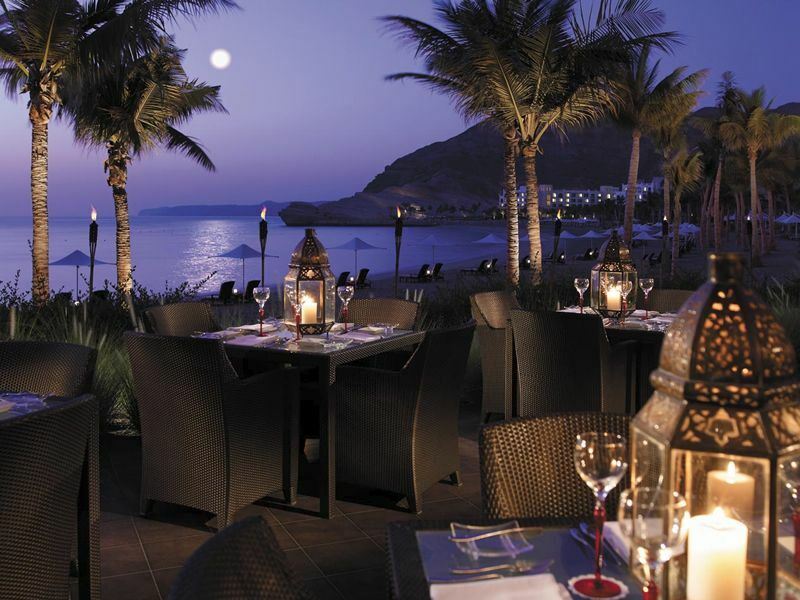 Honeymoon highlights: Oman’s piece de resistance is Muscat, the capital city strung along 35 miles of stunning coast. Most noteworthy is Sultan Qaboos’s palace Al Alam with its gold and blue pillars, the jasmine and frankincense-infused Mutrah Souq, and the awe-inspiring Grand Mosque with its huge Persian carpet and 46-feet tall Swarovski crystal chandelier. For beach bliss, head to Tiwi White Beach – this sublime spot is usually empty during weekdays. See and do: Spend a romantic night under star-studded skies at a Bedouin camp on the rolling dunes of the Wahiba Sands, trek in the dramatic Wadi Shab, ride the waves with dolphins, and watch rare giant turtles lay their eggs on the shores at night. Sporty duos should book a tandem paraglide jump off one of the cliffs surrounding Zighy Bay. Tropical Sky recommends: Nestled on the mountain-side of Oman’s decadent landscape, Shangri-La Barr Al Jissah offers a memorable honeymoon experience. Why: Fuelled by reggae, rum and Rastafarianism, Jamaica has it all; irresistible sugar-white sands fringed by palms, beach shacks serving up jerk chicken, lush rainforests and Marley memorabilia. As the most compelling island in the English-speaking Caribbean, this laid-back hotspot is perfect for unabashed fun in the sun. 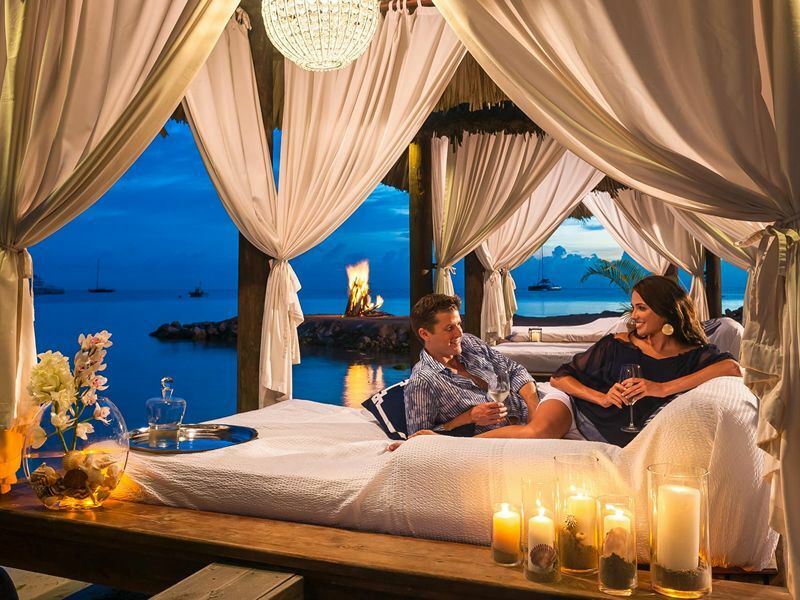 Honeymoon highlights: The seven All-Inclusive Sandals Resorts in Tropical Sky’s portfolio boast sleek luxury-led accommodation, gourmet cuisine, extravagant facilities, five-star service, and swooningly romantic settings. Honeymooners are welcomed with a bottle of bubbly, breakfast in bed, and a nightly turndown service with fresh flower petals. See and do: Loaded with free love and Jamaican spirit, Negril (nicknamed Capital of Casual) is home to Seven Mile Beach, a stretch of ivory sands, swaying coconut palms and waters that offer some of the best snorkelling and scuba diving on the island. Thrillseekers should head to Rick’s Café on the West End Cliffs to plunge from 100-feet-high cliffs into the ocean below. Why: Honeymoon fantasies are satisfied in Cancun, the coastal resort city on Mexico’s Yucatan Peninsula famed for its 14-mile coastline with mega hotels, gleaming white-sand beaches, glossy shopping malls, superb regional cuisine and Vegas-style nightlife. For those craving more than beachlife, world-famous ancient Mayan ruins and jungle rainforests are also on offer. Honeymoon highlights: All four of the ultra-chic oceanfront Secrets resorts in Tropical Sky’s portfolio boast spas, state-of-the-art fitness centres, sumptuous accommodation, gourmet-style restaurants and impeccable five-star service. Choose from Secrets Capri Riviera Cancun, Secrets the Vine Resort, Secrets Silversands Riviera Cancun or Secrets Maroma Beach Riviera Cancun. See and do: To break up beach-driven days, take a daytrip to the Tulum ruins. Perched above 40-foot cliffs, this well-preserved coastal Maya site overlooks sparkling turquoise Caribbean waters and fascinates with three major structures; El Castillo, the Temple of the Frescoes and the Temple of the Descending God. The beach here is one of the most beautiful along the Mayan Riviera, and perfect for taking a dip after visiting the ruins. Tropical Sky recommends: Elegant and chic, with an inviting atmosphere, Secrets Silversands Riviera Cancun is a luxurious resort ideal for honeymoons. Why: For paradise in the Pacific, Hawaii offers swaying palm trees, glittering turquoise water, soft golden sands and a fair amount of loud floral shirts and hula girls. Located 2000 miles to the south west of North America, the state is composed mainly of eight principal islands. Most popular are Maui, Oahu, Kauai and Lanai. Honeymoon highlights: The Aloha State is a magnet for newlyweds who desire together time on exotic beaches. Pack a picnic and hit the sands at a secluded spot like Waimanalo Beach Park on Oahu, Kapalua Beach or Hamoa Beach on Maui, Papohaku Beach on Molokai, or Kailua Beach Park on Kauai – the oldest of Hawaii’s islands and arguably the most dramatic. 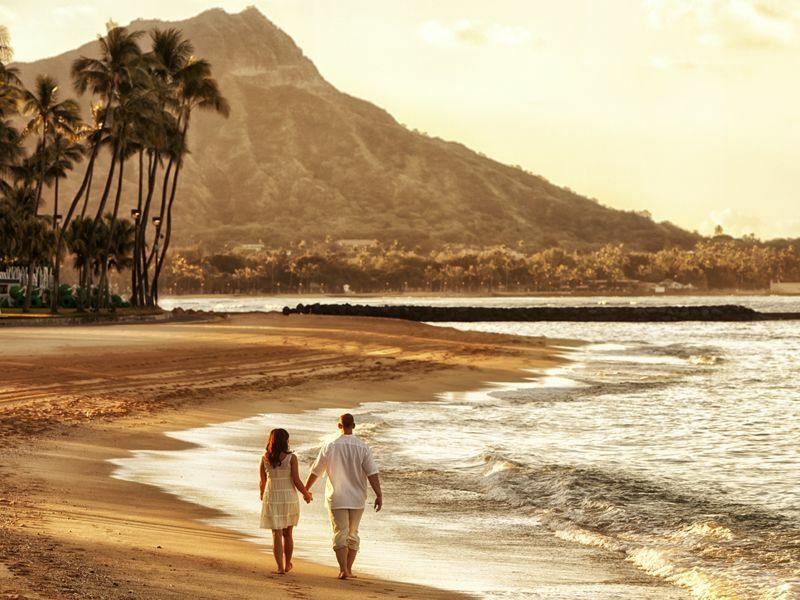 For couples who want to travel off the beaten track, the 11-day Best of Hawaii mixes guided sightseeing with relaxation. See and do: Hawaii delights adventure-lovers with awe-inspiring waterparks, active volcanos and lush green forests. Take a helicopter ride over West Maui, hop on-board the Waikiki trolley car for a tour of Honolulu, book a surf lesson at Waikiki Beach and trek 3,000-feet up the Haiku stairs on Oahu, also known as the Stairway to Heaven. Why: Lush landscapes, towering mountains, fertile valleys, fishing villages and acres of banana plantations define the tear-dropped shaped island of St Lucia. Most alluring is the coastline dotted with glamorous boutique-style hideaways, overwhelmingly beautiful scenery, and the engaging mix of laid-back Caribbean charm and French finesse. 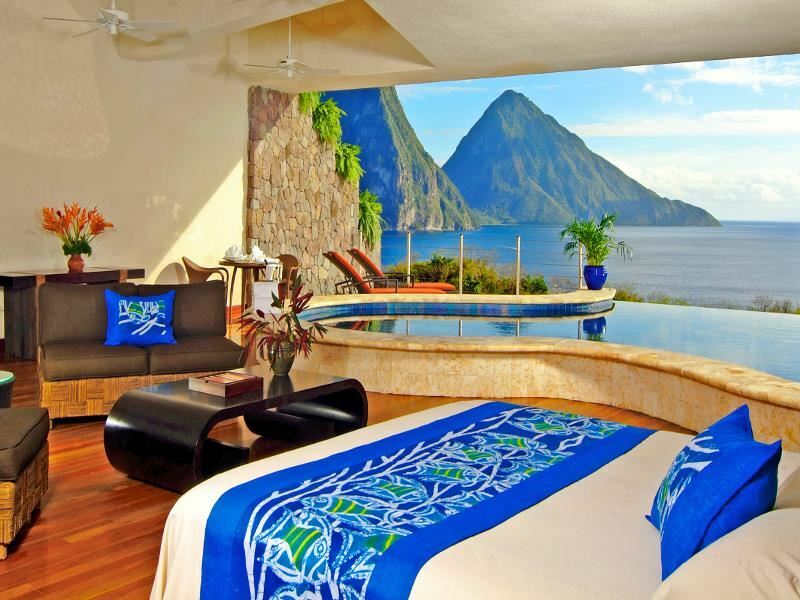 Honeymoon highlights: Set above the 600-acre palm-studded beachfront resort of Anse Chastanet, award-winning Jade Mountain is a designer-led mountainside retreat overlooking the UNESCO World Heritage-designated Pitons and the Caribbean Sea. Each of the 24 sumptuous suites (known as sanctuaries) has an infinity-edged plunge pool and interior designer touches throughout – the only thing missing is a fourth exterior wall to allow for shoreline panoramas. Guests have access to a superb spa, PADI-certified dive school, private beach, and acres of rainforest crisscrossed with hiking and mountain-biking trails. See and do: Explore the bustling market at capital city Castries, take a soak in the Diamond Mineral Baths and marvel at the tropical flowers and exotic plants in the botanical gardens. Try zip-lining above the treetops of the rainforest, and experience bubbling mud pits and the sulphuric smell of rotten eggs at La Soufriere – the world’s only drive-through volcano. Why: After visiting Mauritius in 1896, Mark Twain quoted an islander as saying: “Mauritius was made first and then heaven; and heaven was copied after Mauritius.” Synonymous with palm-fringed beaches backed by clear waters, top-flight golf courses and idyllic resorts, the so-named Paradise Island is one of the most glamorous in the southern Indian Ocean. 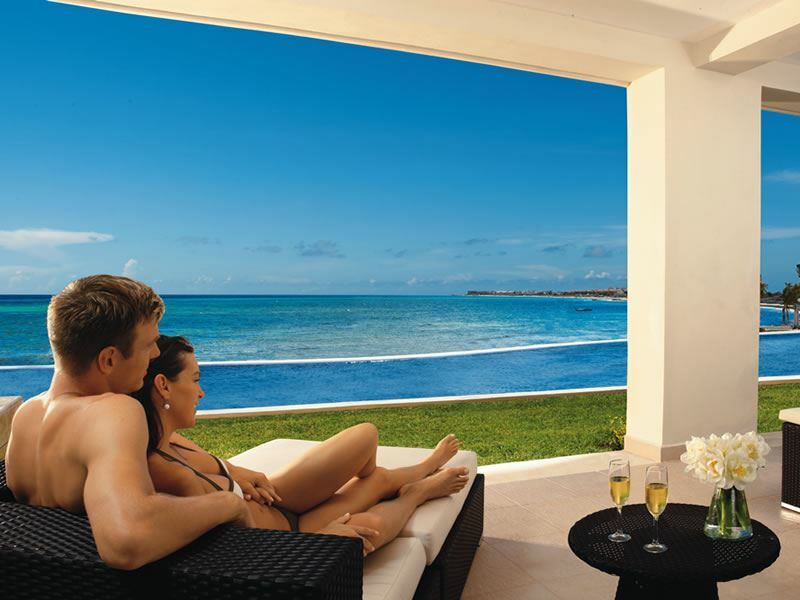 Infuse your honeymoon with romance by spending it in Mauritius. The breath-taking beaches, stunning vistas and tranquil ambience lend themselves perfectly to romantic breaks. Honeymoon highlights: Continually rated as one of the most enchanting places on the planet to tie the knot, most newlyweds tend to remain holed up here for their honeymoon. Tropical Sky presents several luxurious resorts that surpass expectations for the all-new Mr and Mrs. Prices start from just £1,079 per person for seven nights on an all-inclusive basis in one of our recommended honeymoon hotels. See and do: Loved-up duos should take a Captain Nemo walk on the seabed four-metres down beneath the Indian Ocean’s surface at Grand Baie, kick back on talcum-white sands at island-playground lle aux Cerfs, and cool down at Tamarind Falls. For the ultimate romantic gesture, watch the sun setting across the lagoons on a sunset cruise that includes dinner, drinks and live music. Why: Less than an hour’s boat ride from Krabi, Koh Lanta is the largest of 52 mostly uninhabited islands in an archipelago protected by the Mu Koh Lanta Marine National Park. Perfect for couples who want to experience magical sunsets, jungle-covered mountains, and near-deserted beaches that get more secluded the further south you go. Honeymoon highlights: As Koh Lanta’s first five-star property, Pimalai Resort & Spa remains a firm favourite for peace and pampering. Surrounded by tropical forest on the edge of white-sand Ba Kan Tiang Beach, each of the 121 guestrooms, pool villas and pavilion suites tempts with sleek designer-led furnishings. Pleasure pursuits include a spa, two infinity pools, eight restaurants and bars, a well-equipped gym and on-site PADI dive centre. See and do: Zip around the island on a rented moped, take an elephant trek through the rubber plantations, kayak through mangroves, and enjoy a traditional Thai massage on the beach. For a true taste of the island, several cookery schools offer short courses where you can learn about local herbs and spices – and even knock up your own Thai meal. Why: Celebrated for their dreamlike setting, the Seychelles are 115 coral and granite islands scattered in the Indian Ocean, a few degrees south of the equator. The three most popular are Praslin, La Digue and Mahé – each offering their own slice of paradise and plenty of outdoor pursuits for active couples. Honeymoon highlights: Romance may not come cheap, but the extravagance is worth every penny. This drop-dead-gorgeous nation delights with intimate boutique-style resorts, endless ribbons of glistening sugar-white sands, palm-fringed jungles and majestic granite cliffs. Most stunning is Anse Source D’Argent – the world’s most filmed and photographed beach with pale pink powdery sands, swaying palms and shallow turquoise waters. See and do: Stroll around the Seychelles’ tiny capital Victoria with its silver-painted replica of Big Ben, bird-watch at Aride Island, and spend the afternoon hiking along one of the trails within the Morne Seychellois National Park. Nature lovers should head to Praslin’s UNESCO-listed Vallée de Mai Nature Reserve, home to the towering Coco de Mer trees that bear the world’s largest nuts. 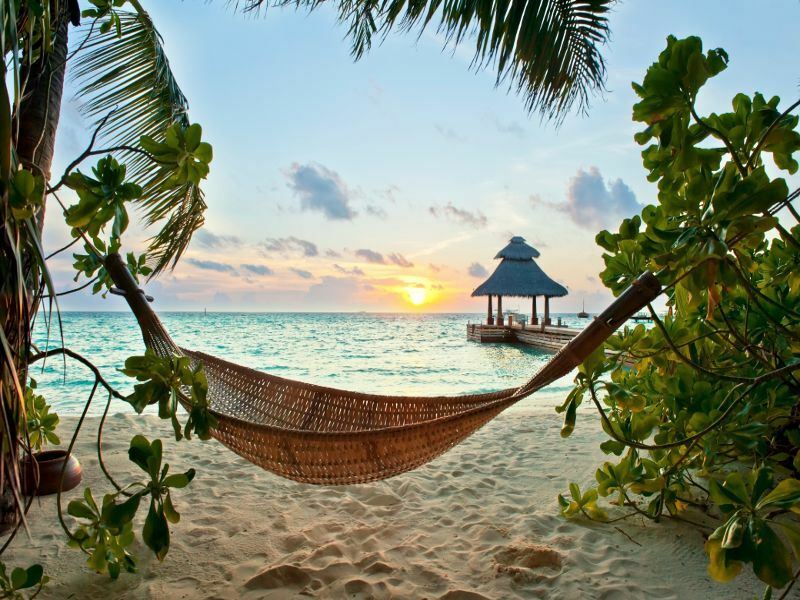 Why: Possibly the most romantic archipelago on earth for just-marrieds, the tiny country of the Maldives is a series of around 1,200 tiny coral islands grouped into 26 atolls. For sun, sand and sea, this Robinson Crusoe-style desert-island in the middle of the Indian Ocean dazzles with decadent all-inclusive spa resorts, deserted white-sand beaches and some of the clearest water on the planet. Honeymoon highlights: Honeymooners are besotted by the Indian Ocean’s top-ranked islands for good reason. Days are filled with poolside yoga, top-to-toe massages, snorkelling and swimming; nights are spent sailing on sunset champagne cruises and enjoying private candlelit dinners under the stars. Everything here is conducive to romance, seclusion and unrivalled luxury to delight couples in the first throes of passion. See and do: Swim with whale sharks or manta rays, explore the country’s capital Malé, and take to the sea on board a dhoni – a traditional wooden sailboat. For an unforgettable diving experience, head to the Maldives Victory Wreck, the 110-metre long cargo ship that hit a reef and sank in 1981. The bottom of the wreckage now sits about 30 metres below the surface and is home to coral, sponges, tubastrea and large schools of fish.